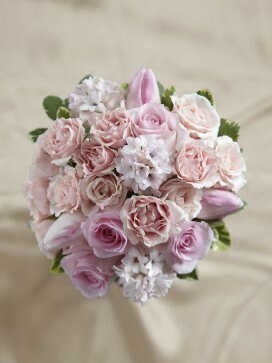 This adorable, pastel toned pink bridal bouquet is one of blushing beauty and elegance. 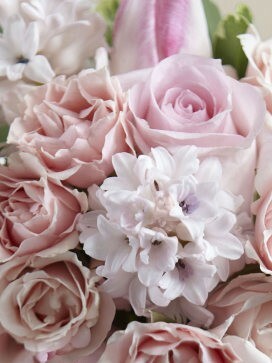 This mesmerizing medley of soft pink tones and angelic ivory shades combined with the sweet scents of heavenly hyacinth, give this charming bridal bouquet a breathtaking impact that appeals to all the senses! 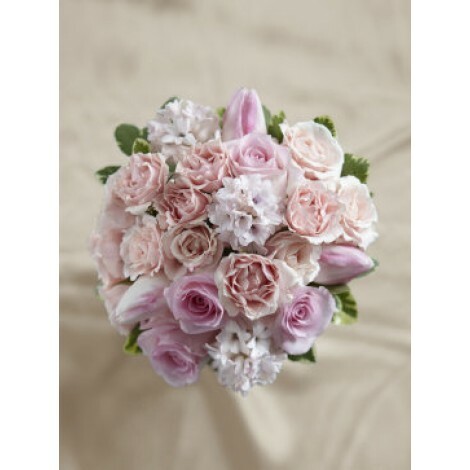 This adorable, pretty in pinks bouquet features; Pink roses tulips, spray roses and sweetly scented hyacinth, hand-tied with coordinating pink satin ribbon.